I really enjoyed this movie. Apparently, so did all of China. 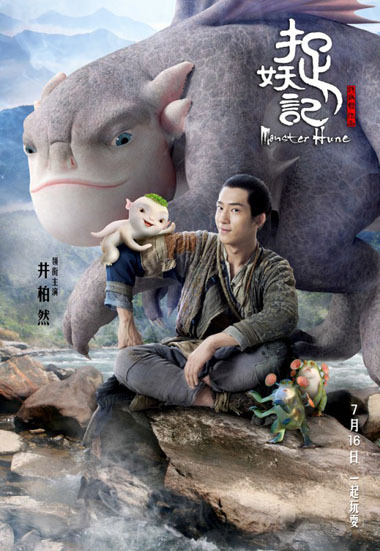 Monster Hunt became the biggest-grossing Chinese movie of all time during its first month in theaters, making $170 million in its first eight days alone. Our family finally went to see it last weekend, nearly a month after it opened, and the theater was packed. Well, not sold out, but still. I’ve been seeing movies in China for a decade, and I have NEVER seen so many people in a theater, and certainly not for a month-old movie. We weren’t sure what to expect, but we thought the movie was great. Very Chinese and bizarre, but great. So, what is this crazy-popular movie about? The upshot is that there is a monster world that humans have basically forgotten about, and the good monster king has died. The bad monster king is trying to wipe out all the good king’s surviving supporters, including the pregnant queen. The weirdest part is that, to save her baby, she “passes” it (unborn, mind you) into the body of a human guy. Of course, you can imagine they make a lot of that, with the pregnant daddy eating a lot and supporting his back while he walks. He eventually gives birth to the little baby monster, Wuba, who looks like a daikon radish crossed with a squid. And what else could you expect after that set-up but a heartwarming story with plenty of humor? 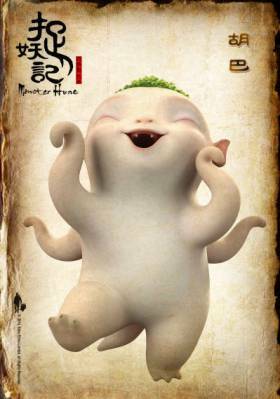 Monster Hunt really is a lot of fun, and it’s fun for the whole family. That’s refreshing, because it’s the first time I’ve seen a mainland Chinese movie that wasn’t specifically for children (Xi Yang Yang, anyone?) or specifically for adults. It is truly a family movie that all ages can enjoy. 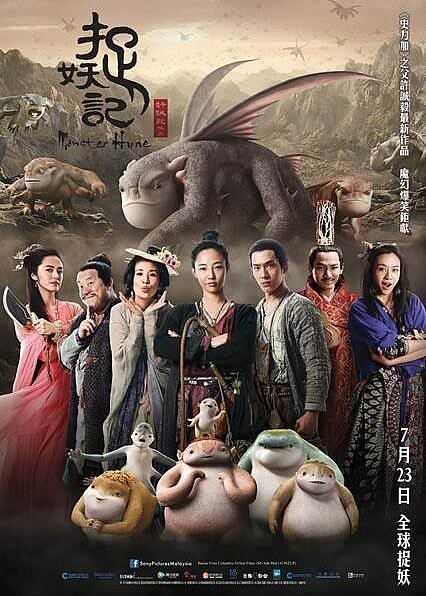 Monster Hunt has definitely grabbed the attention of the West. There are articles running in Variety, Business Insider, NPR, Hollywood Reporter and CNN. Everyone wants to analyze why this film is so popular. Hmmm…that doesn’t sound terribly promising. My own burning question was, when are they making the sequel? Thankfully, in the same interview, Hui was asked that very question, also with kind of a disappointing answer. No, they hadn’t really thought of that. I was surprised because the ending sure made it seem like “sequel” was the direction they were heading. Turns out they weren’t imagining the Monster Hunt would be much of a success at all. I guess time will tell if Monster Hunt will make its way out of Asia, and if we’ll be seeing Monster Hunt 2 anytime soon. 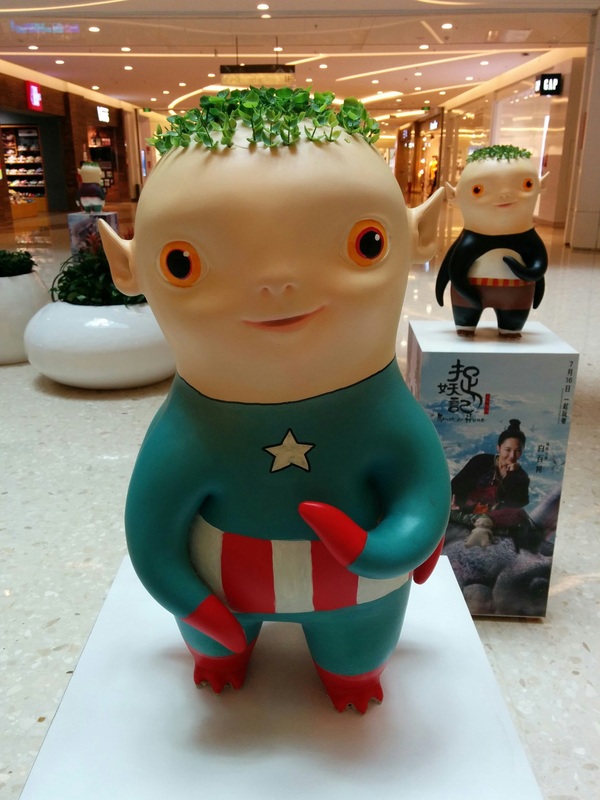 In the meantime, I’ll leave you with a few of the baby Wuba statuettes that are on display at the mall near us. 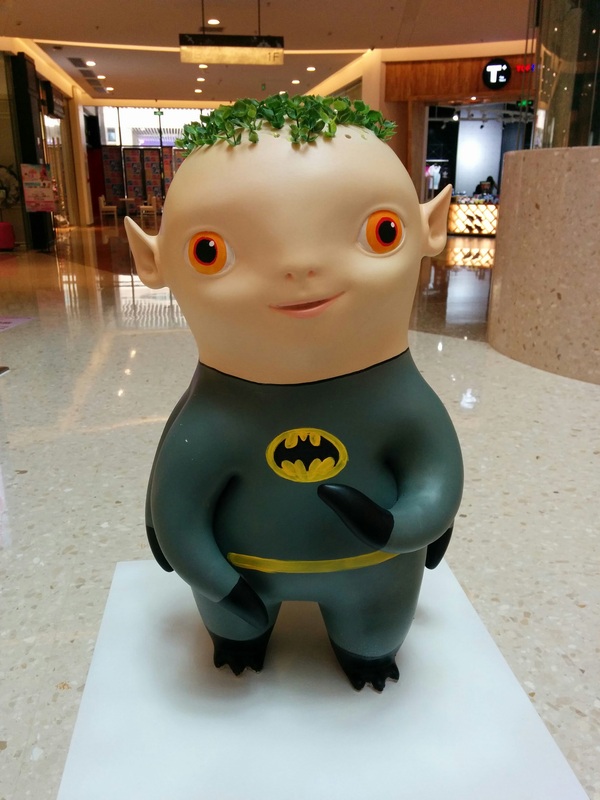 The various superhero outfits have nothing to do with the film’s plot, but, hey, why not have Green Lantern Wuba?